Malaki Seku Amen, CEO of Sacramento-based California Urban Partnership, was instrumental in helping the city develop its cannabis equity program. 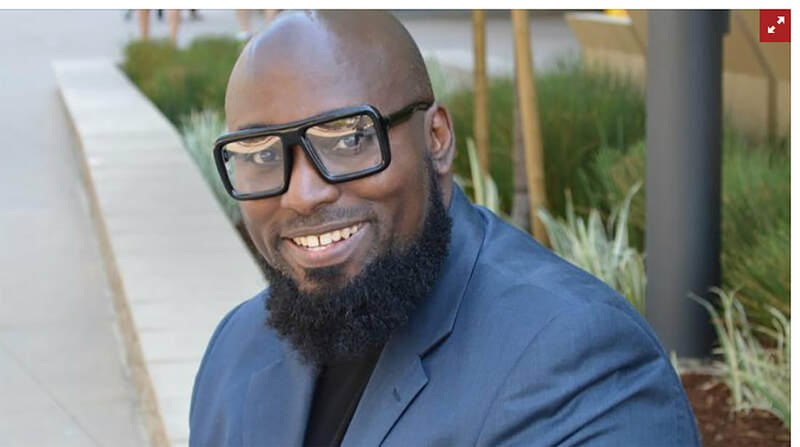 Malaki Seku Amen, founder of the community development advocacy organization California Urban Partnership, emerged as the lead consultant, negotiator and combatant — depending on the day and the issue — in the effort to see the idea for the cannabis equity program become a reality. The program will grant advantages to people looking to start cannabis businesses who lived in areas of the city where marijuana laws were aggressively policed, as well as individuals who were arrested on marijuana charges or had an immediate family member arrested on such charges. The program will set aside at least $250,000 to cover permit fee waivers for those individuals, and the city will grant priority to processing applications for operators eligible for the program. Amen sat down with the Business Journal in the days following the City Council’s approval of the equity program to discuss the process of working with the city and what he hopes the program achieves. How did you become one of the leading figures in the effort to shape the city's cannabis equity program? It’s an issue that I’ve felt passionate about for quite some time. In the absence of local leadership doing research, legal analysis, community organizing and policy negotiations, I just didn’t feel comfortable ignoring the issue. It disturbed my soul, and I decided I was going to make a sacrifice and stand in the gap of leadership on this issue. There were a number of delays to the program before it was ultimately passed. What caused the delays? In the background, we were unhappy with what was going before the council. We wanted to be intentional about engaging in community outreach and talking to people who had their children and families and neighborhoods devastated by the war on drugs. We wanted community-driven solutions for what the equity program would look like. I had some very heated conversations with my friends the mayor and our city council members. What benefits are included in the program today that were not included in previous versions proposed to the council? One thing that wasn’t in the program before was the hiring from populations that have been impacted, and the goal of having 50 percent of all licenses being awarded to impacted populations. Also the priority processing of permits for operators eligible for the program or who hire workers who meet the eligibility criteria. There has been some criticism about the delay in getting the program up and running — that it gave other entrepreneurs and businesses a head start. Do you believe that’s the case? I think there’s a little bit of a downside to giving well-funded operators a head start. While it was painful to delay the equity program, our hope is that having it now will make up for the delay — especially with eligible applicants being granted priority processing for necessary permits. Ultimately, what do you hope the program results in for these communities that were disproportionately affected by the war on drugs? I hope it opens up an industry that results in Black wealth creation and investments that revitalize low-income communities of color. Career: Founder, California Urban Partnership; lobbyist, Dzign Strategies; Governor's appointee, California Technology, Trade and Commerce Agency; deputy chief of staff to former state legislator Ray Haynes; consultant to the California Assembly Jobs, Economic Development and the Economy Committee.